I was thrilled to get this email this morning. I would like to personally congratulate you as your blog Knitting Nuances has been selected by our panelist as one of the Top 100 Knitting blogs on the web. I personally give you a high-five and want to thank you for your contribution. This is the most comprehensive list of top knitting blogs on the internet and I’m honored to have you as part of this! Of course, I clicked on the link, then quickly scrolled to the bottom of the list to work my way up from 100. I expected to see Knitting Nuances in the 90’s and was pretty excited when I had to keep scrolling up. We are at 59 and considering how new the blog is and that I took a 5 month health break last year, I think that’s fantastic. I’m a numbers person so I find some of these fascinating. As of today, we are closing in on 150,000 views, just passed 48,000 readers, and the best day was 9,149 views. The most popular time to read the blog? Thursday morning. Who knew? And we have visitors from 68 countries, including a few I had never heard of, like Mauritius (an island in the Indian Ocean) and a surprising number from Nepal. I spent much of my time in January finishing and submitting a summer sweater for a print magazine. I promise you’ll hear much more about that later. and came up with a top ten. They include the pattern for the Estrellita Blanket, blog and tutorial for 2 new decorative bind offs, more videos, a fall sweater idea for Knitty with a March 1st deadline looming, 2 existing scarves that need patterns and a ten (yes, ten) piece collection for a new way to use the Showy Decrease. New Video. For those that made it all the way here to the bottom of the post (thanks! ), the Bonus Materials page now has a video tutorial for the Reverse Yarn Over. It’s used a lot with the Showy Decrease when you don’t want an eyelet and I’ve had a lot of questions about it. Link to the page is on the Bonus Materials for Blog Followers page up on the left side. What?! You don’t follow the blog yet. Read here about why it’s a great idea to join us. Congrats! It is well deserved and I definitely am a fan! Congratulations Laura. Very happy for you indeed. I am always pleased to refer people to your blog when I give knitting classes, so hope some of those numbers are a direct result of my recommendations. I always look forward to your email notifications. WOW! That’s really great! No wonder you’re so thrilled – it’s a wonderful accomplishment! It so wonderful that knitting is so loved – I remember a few years ago, people were embarrassed to say they knitted for fear of being seen as ‘old fashioned’! Thank goodness that’s all changed and people have woken up to the sheer fabulousness of this craft! ANd obviously, you’re ding a great job of showing just how enjoyable and , yes…cool…knitting can be. Thanks! Keep up the good work! Linda, What a nice comment. You made my day. I am busy knitting on two new collections, so I’ll have a lot more soon! 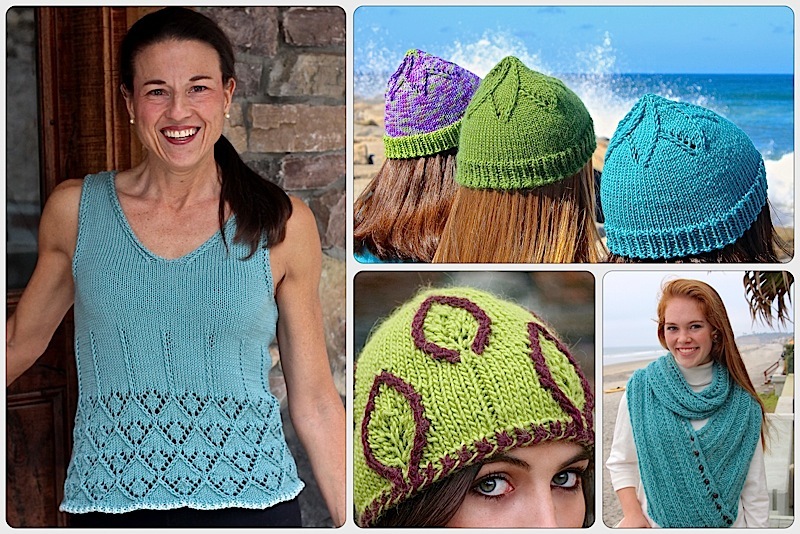 This entry was posted on February 9, 2016 by Laura Cunitz in General and tagged Top 100 Knitting Blogs.